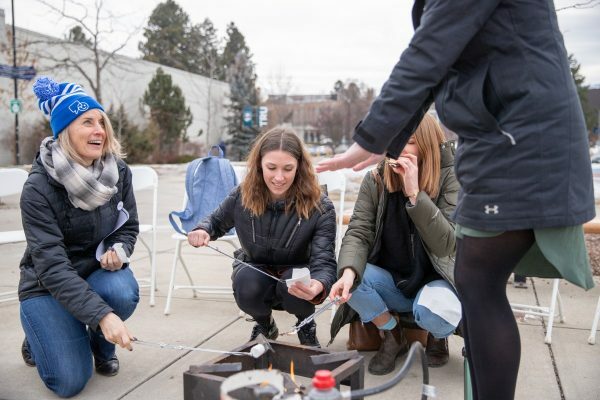 On a bright and exceptionally crisp -10C day in January, students gathered around a fire, roasted marshmallows and sipped hot chocolate—all in the name of mental health awareness. Several international students who had never, ever had a s’more, were treated to a true Canadian outdoor experience right outside of Old Main. 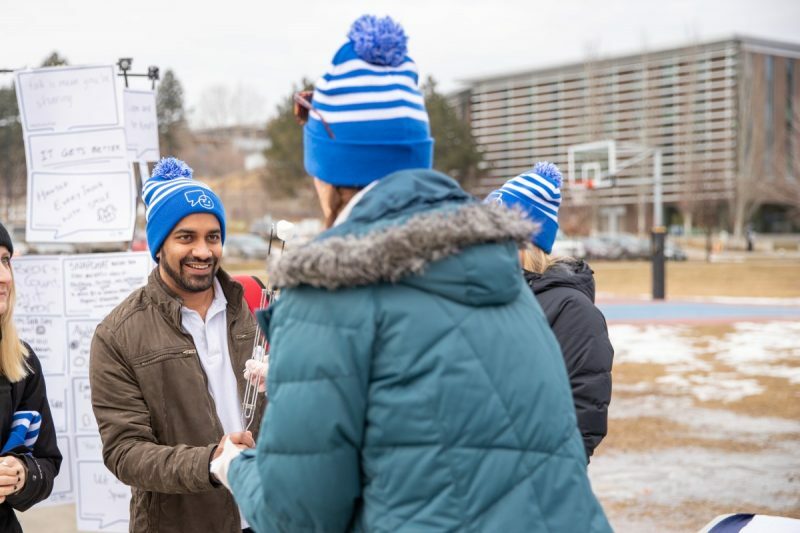 Donning and handing out bright blue toques, Wellness Centre staff chatted with students about stigmas that surround mental health, how to improve access to mental health care and the services available to students that need them. “Mental health stigma means thinking less of, or discriminating against someone because of their mental health or illness, and it’s all too common. 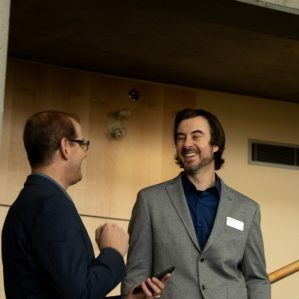 This leads to decreased well-being, feelings of shame and guilt, and can prevent people from seeking the support and treatment they need,” Samantha Nielsen of the TRU Wellness Centre said. Samantha Nielsen of the Wellness Centre chats with students about mental health resources available on campus. 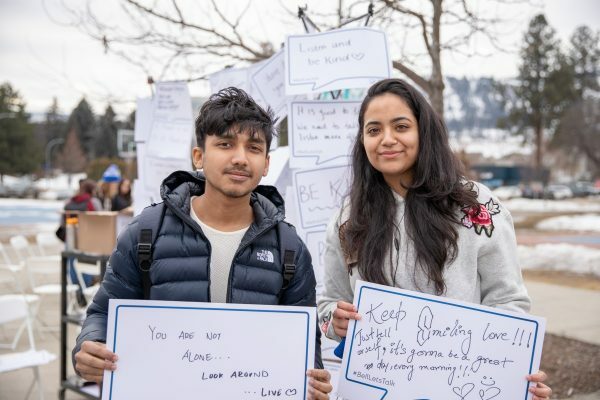 Students passing by were invited to write their own words about mental health—be it encouragement, acknowledgement, thoughts or feelings, on sheets of white paper and display them on a wall. Many students posed proudly with their signs and shared the images on social media using #BellLetsTalk. Hosting this outreach event as part of Bell Let’s Talk day is one of many ways to start the conversation about mental health awareness and raise awareness about the supports available to students. 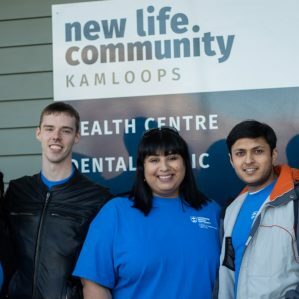 “The Wellness Centre is rapidly growing, Last semester, we had 2,847 student drop-ins—more than we had all last year! The TRU counselling department has also seen an increase in students accessing counselling services since our focus on mental health this month,” she said. and more… visit the Wellness Centre website for a full list of resources. 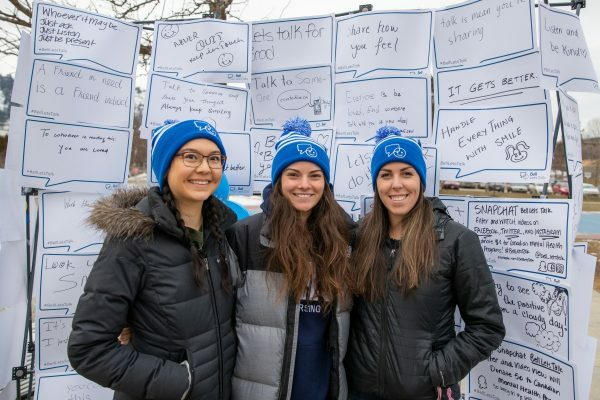 “With mental health concerns on the rise, we want to encourage students to continue the conversation, continually check-in with themselves, and remember that they are not alone. Mental health affects us all and there’s always someone ready to listen and offer support,” Nielsen said.